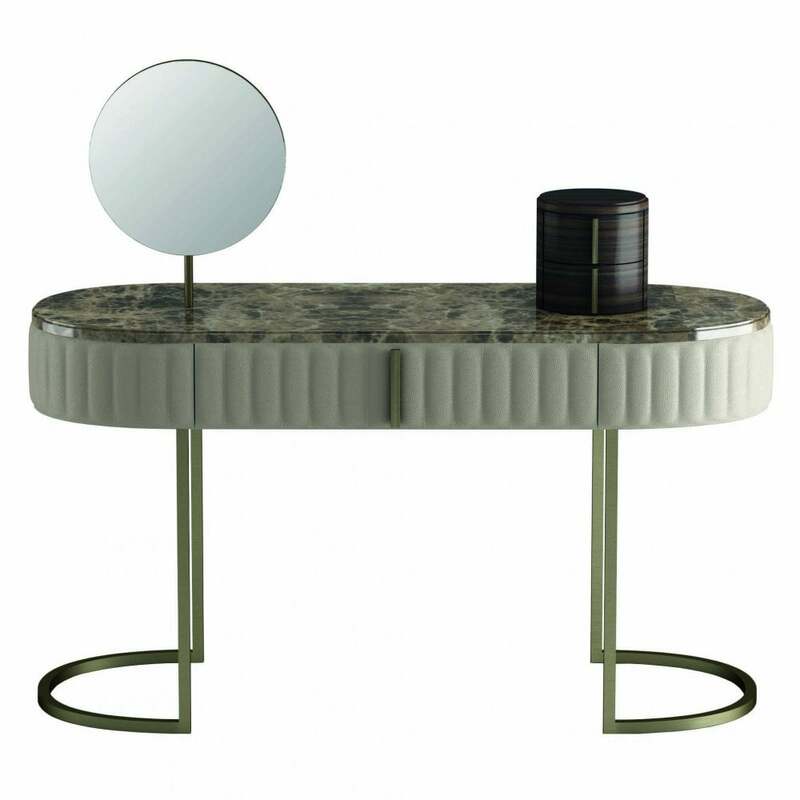 Add a touch of art deco inspired glamour to your bedroom with the Rimmel dressing table from the Daytona collection by Signorini & Coco. The elegant design incorporates an unusual oval structure finished in a combination of exquisite fabric and brushed antique brass with luxury marble surface. The use of mixed materials inspired by the Hollywood era, emulates an air of glamour in your interior. Style with other pieces from the Daytona range by Signorini & Coco for a co-ordinated scheme. Finish options are available on both the fabric and surface to complement any interior scheme. Contact us for more details on the available options.